Once upon a time there was a bag. An utterly beautiful bag that one could only ever hope to afford. To this day the Chloe Drew bag has to be one of the most gorgeous and instantly recognisable designs that I have personally known about. By no means am I a fountain of knowledge when it comes to designer clothing and handbags, I am a high street girl through and through. However, every now and then there comes along one piece which you instantly take a shine to. The Chloe Drew has been one such item, however because of the price of the real thing it has and most certainly will always be out of the question. Now, if I am honest I cannot ever imagine a day, or even being in the situation where I could happily purchase the true version of this bag by Chloe. It is so incredibly expensive that I could probably easily fund six or more months worth of food shopping in what it takes to buy this; it is just obscene, beautiful but obscene. I have featured this lookalike from Shein previously, however I felt as though I should dedicate a post to it entirely because it is after all a very popular design, in which so many people will find themselves not being in a position to be able to afford it. At just the price of £23 this is a utter bargain if I do say so myself. The only issue I have with it is that the chain at the front tends to fall out of the little slot, however, when the product is so much more cheaper than the original and the design pretty much identical it is a rather small thing which I am more than willing to overlook. 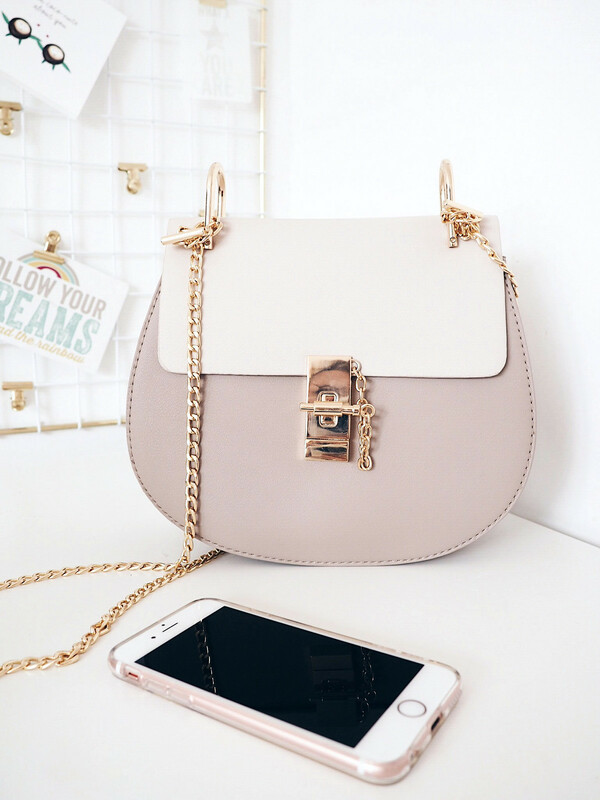 The Contrast Faux Leather Chain Saddle Bag* can be found at Shein. If I were a Butterfly.